New Yorkers walk a lot. Doesn't matter if it's raining or snowing or hailing, a big part of our transportation is our sweet feet! So you'll need boots that can survive snowstorms and bomb cyclones, keep you warm *and* look good. Here are three must-have styles for powering through the inevitable OMG-it's-so-cold days to come. Find yours: The duck boots I'm wearing above are the Raven Blue style. Also try this, this or this. 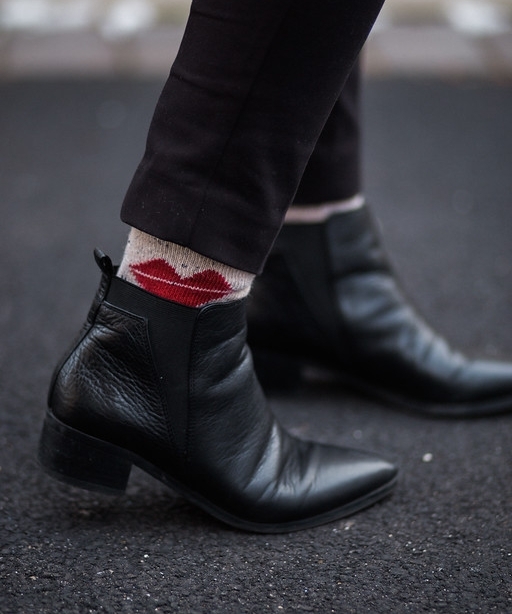 Simple, sleek black ankle boots go with every kind of outfit (whether you're off-duty, at work or meeting friends for drinks) and they add a bit of edge to your look—even when you're headed out in 23 layers. I wear the Marc Fisher pair above almost every day. They're super comfortable and the low, sturdy heel makes them really easy to walk in. Find yours: Try these, these or these. 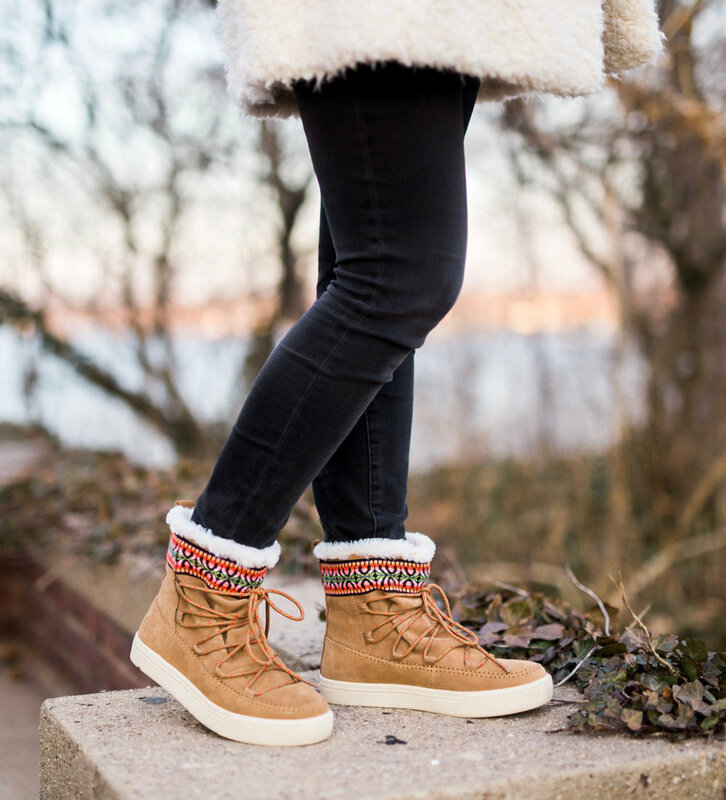 Cheers to staying warm in a new pair of wintry boots. Love to you all!